Bowen Islanders are mounting a fight against B.C. government plans that could one day result in logging in their community. 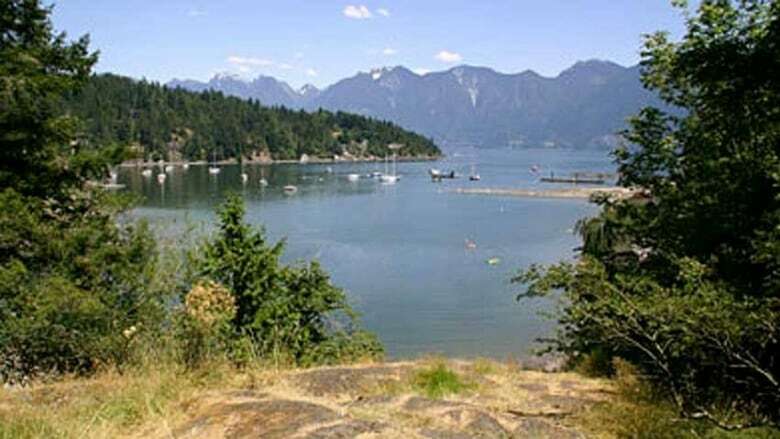 Bowen Island residents are worried about a government forestry plan that could open up the island to logging. B.C. Timber Sales,which provides price benchmarks for wood harvested from public land, is currently working on a new Forest Stewardship Plan (FSP) that includes 1,414 hectares of forest on the sleepy Gulf island — nearly a third of Bowen's total area. The news came as a surprise to many on the island, according to Mayor Murray Skeels. "These are blocks that touch on numerous residential neighbourhoods, right up against Crippen Park, right up against the ecological reserve," Skeels told The Early Edition on Thursday. "It's right on top of the watersheds." A notice in the local newspaper earlier this month invited residents to a July 30 meeting on the proposed FSP, a planning document that "shows the location of forest development units and provides the results, strategies and measures that the plan holders will follow for government's objectives for various forest and resource values." The notice has produced significant anxiety in the community of about 3,600 people. "There's been a lot of forest companies over the years that could have come to Bowen, could have come to the Crown land," Skeels said. "Nobody else has ever seen it as feasible." But according to Tom Johnson of B.C. Timber Sales, no logging would happen on Bowen without community consultation. He described the FSP as a "high level overview" that only identifies potential logging sites. "Subsequent approval of a Forest Stewardship Plan does not mean logging is imminent, and it covers areas of potential future harvest. Having an approved Forest Stewardship Plan is the first step in the process," Johnson said in a written statement. "Should BCTS decides to pursue logging at some time in the future on Bowen Island, it would undertake additional consultation with the community and would prepare an operational plan which would reflect input from residents of Bowen Island." Johnson says even if the area was opened to logging, harvesting would never happen on the full 1,414 hectares identified in the proposed FSP. He says less than one per cent of B.C. 's harvestable land area is logged every year.